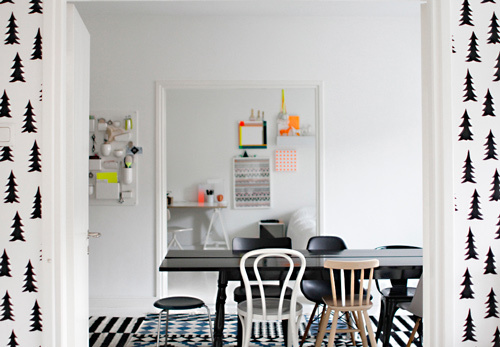 I spy elements of IKEA (the black and white rug unde the dining room table) a Smeg fridge, (what colour would you choose?!) 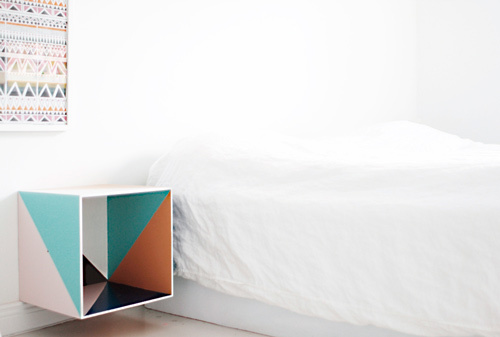 the utensilo storage, plus many little touches of Scandinavian design. 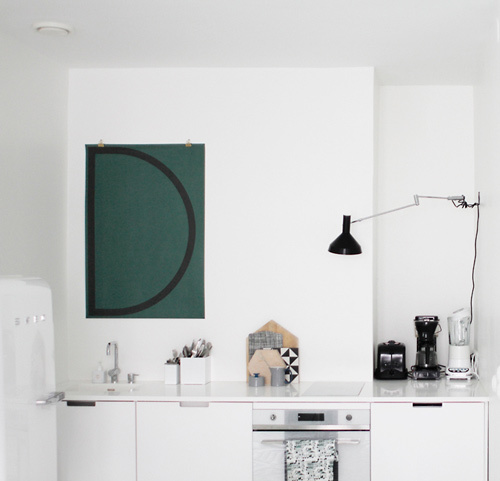 This little Helsinki haven will make my heart sing all the way back to Sweden today! Since I'm not the lucky owner of one I couldn't possibly say....can anyone else advise Barbara? What a great home! 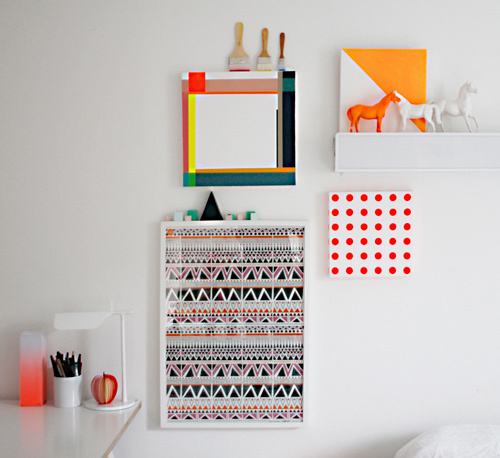 Love the colorful/black accents in the otherwise monochromatic setting. 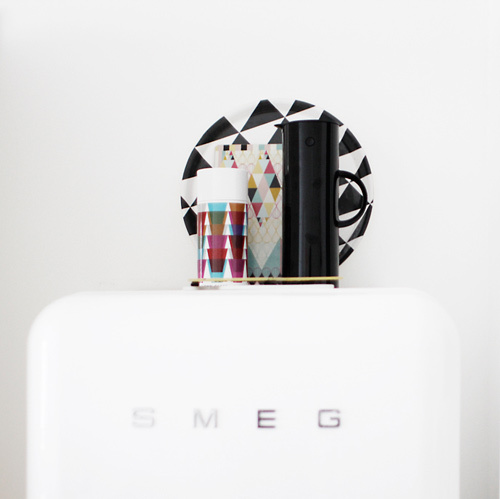 Unfortunately I can't say anything about the quality of a SMEG fridge but they sure do look good. Does anyone know where I can find this amazing wallpaper? Hi Vanessa - it's so fab isn't it? It's called 'Gran' and you can find it at Fine Little Day http://www.shop.finelittleday.com/. Thank you so much for your reply, I really appreciate it!